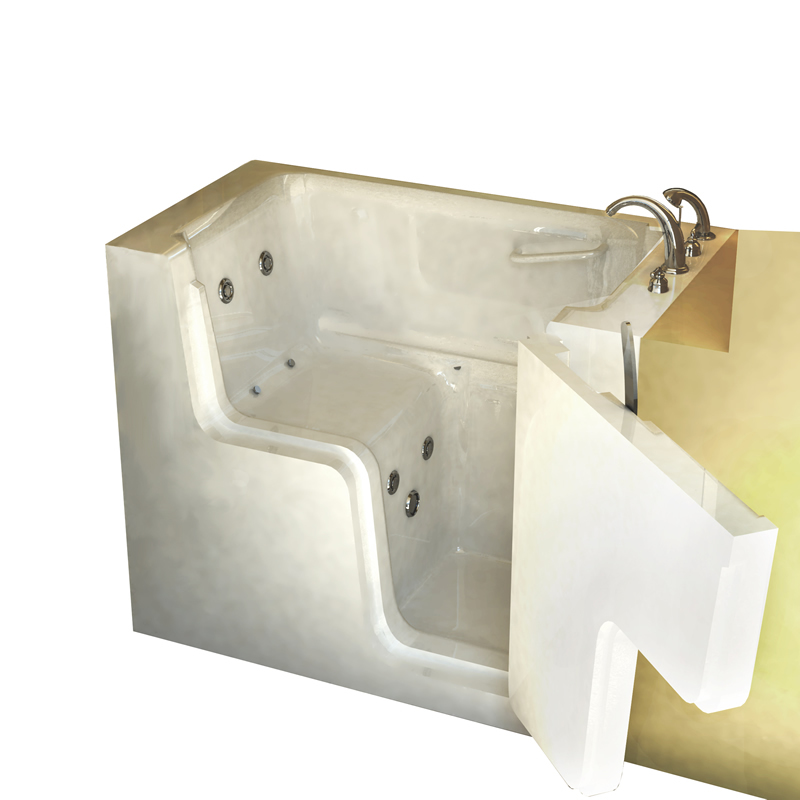 The Wheelchair Access line of walk in tubs from Sanctuary comes in both Medium and Large sizes. They are made from high grade fiberglass and both feature a door that gives complete access to the profile of the tub's seat, making transfers from wheelchairs, hoyer lifts, and other transfer devices a breeze. The Medium Wheelchair Access tub can be used in a full 60" opening if the included extension panel kit is used.